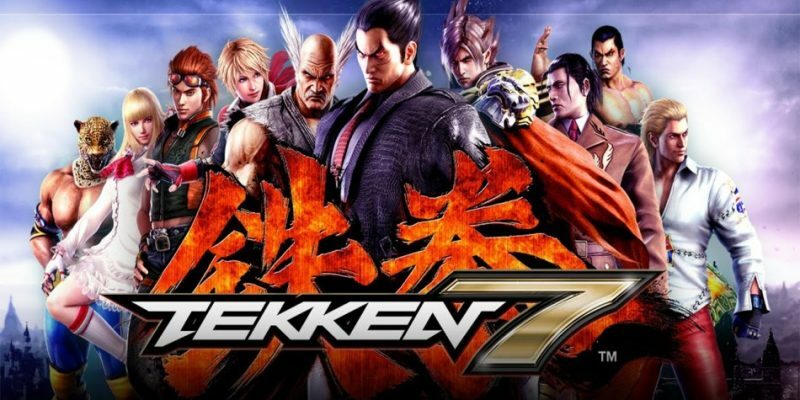 If you’ve never heard of the Tekken franchise before and are just starting to dabble in the game after deciding that it’s worth playing, then choosing a character to use can be quite daunting. Tekken 7 comes to a total of thirty-seven characters — and counting — who do you pick? You have the option to randomize, but that might not be such a good idea if you decide to pit yourself against other players. You might unintentionally use any of the Mishima characters with their more detailed move-sets. And trust me, you don’t want to end up using Kazuya Mishima on your first time. I speak from experience when I say that I was one of the many naive newbs who chose to randomize characters to use. This was because I thought the game’s winning chances relied on aggressive button-mashing. I was eight years old, and I wanted to play Tekken — specifically, Tekken 3 back then — because I thought it looked cool. To my eight-year-old brain, it definitely looked that way when the older kids played it. What a huge mistake that was. The CPU chose Heihachi Mishima for me, and, by the heavens, I didn’t even get past the first stage. My Heihachi was pummeled ruthlessly by an older guy who played the game using Eddy. Later on, I realized that a win in the King of the Iron Fist Tournament isn’t reliant on subsequently pounding on random buttons. For beginners, you’d want a character who is, first and foremost, easy to utilize with the game’s most basic commands. Also, you would want a well-rounded and balanced fighter in terms of range. Make no mistake in thinking however that ‘easy’ translates to ‘easy to master.’ Some characters’ fighting styles are just more intuitive and more damaging compared to others. First on the list, is none other than Brazilian Savate de Rue fighter, Katarina Alves. And if you’ve looked into other forums or beginner-friendly sites, then you can figure out why she would be on this short list. Besides being generally considered as the most recommended character for newbies and beginners, you’ll find that her most basic move-sets are actually really easy to remember. The easiest of them involve pressing punch buttons thrice or twice. What she lacks in defense she makes up for with high damage combos and strong mids. In addition, the manner in which she can execute her moves is really good. Bob is an exceptionally well-rounded character (no pun intended). He doesn’t look beginner friendly, but when you do choose him and start playing, you’ll feel surprised. Your initial impression about the big guy wasn’t as accurate, was it? He was initially introduced to the game back in Tekken 6. Bob was immediately tagged as a fighter who’s reliance laid on speed and weight. His playstyle is extremely versatile; characterized by strong poking and damaging mids. In addition to this, he can step up his game even more with hard-hitting lows. His damage output in wall games is really high. And if used effectively, your opponent might have a hard time recovering. As an android created in a laboratory, Alisa isn’t nailed down to a specific human-related martial art. Besides the robot status, though, she makes a great beginner-friendly Tekken character because of her decent poking game. But as well-aimed as her pokes are, they only deliver low damage output. What she lacks in this she makes up for with strong homing moves. She also has great low kicks that your opponents might have difficulty anticipating if executed correctly. Alisa’s playstyle is wonderful for beginners who aren’t enthusiastic about taking the offense. Hers is a methodical approach — very structured. She is the best bet for any newbie who prefers to play in the defense. Other Tekken 7 characters for beginners who are worth looking into are Marshall Law, Miguel Rojo, and Lili Rochefort. But for those who are fans of Final Fantasy’s latest franchise, a certain Prince has made his way into the King of Iron Fist Tournament. Upon the release of the DLC, most of the feedback from Tekken players report that Noctis Lucis Caelum is quite a beginner-friendly addition to the popular fighting game. What fans of the latter game can appreciate is Noctis’ fighting style carrying over flawlessly into the former’s world. As a downloadable character, the Prince of Lucis’ playstyle is certainly unique compared to the other characters’. Where jabs and kicks reign supreme in the tournament, Noctis has entered the fray with princely grace. With his Armiger Arsenal and collection of swords at the ready, he’s more than prepared to force your opponent into submission. He sounds a tad complicated. How is he good for beginners? Well, for starters, Noctis’ access to various armaments grant him a number of unorthodox techniques, such as teleportation and attacking with multiple weapons at once during his rage drive, granting 9999 damage, by the way. His warp-strike, incorporated from the canon game, can easily close the distance between you and your opponent. Moves that utilize his wyvern spear and his broadsword can reach enemies from a calculated distance as well. So, in other words, because you’re new to the game, feel free to abuse the living hell out of his long-range attacks. Noctis’ moves aren’t at all that difficult to execute either, and he has decent damage output. While trying my hand out at Noctis myself, I find that he’s relatively easy to use. In fact, one might even say that the developers incorporated him into the fighting game with beginners in mind. Choosing Tekken 7 characters to use and to play with can be tricky. Each player feels out the characters differently. Your style of playing may not be similar to your opponents’. Some newcomers into the game enter the playing field with a natural talent and affinity for certain characters, like Yoshimitsu or Jin Kazama, perhaps. Nevertheless, no matter which character you choose to use upon game entry, you’ll find that every one of them can be learned and utilized effectively over time. Mastering Tekken is not and never will be an easy task. It’s not something any gamer can achieve overnight. But just like any other game out there, if you want to be good at it, you need to have loads of time to constantly play it. And of course, the most important factor of all, just play the game because you’re in it for the fun and the friends. Head on over and explore Scoopfed for more interesting game facts, and intriguing articles about the technological world.